My Bloody Valentine falters on the final three tracks of its new third album. 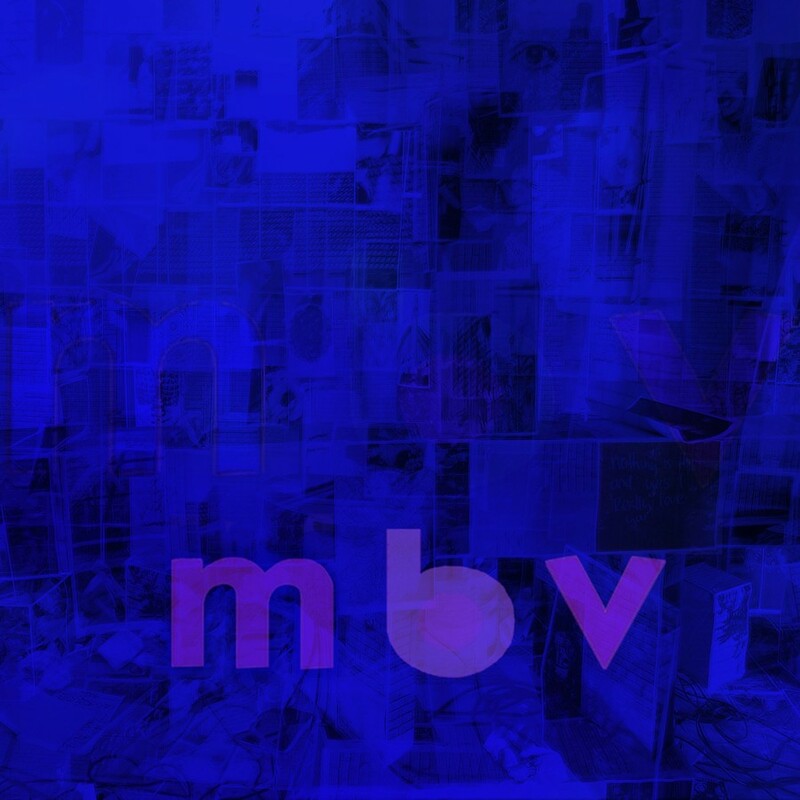 My Bloody Valentine released its third album, mbv, at a very good time of the season. With the exception of a few freak 60-degree days in February, it’s cold enough to want to stay inside sitting in a stew of angsty, atmospheric chords until the sun sets at five o’clock. We are also swiftly approaching that magical 14th, day of the month on which many fans of the band’s second album and cult classic, Loveless (1991), wonder why life can’t just be one long cab ride with Bill Murray through the streets of Tokyo with “Sometimes” on full blast in the background. Few will resolve this nagging problem, but many will find solace in music that is familiar and full of warm feelings. The band has had its surefire, shoegazing formula down for decades now. Kevin Shields and Bilinda Butcher do guitar and vocals, Colm Ó Cíosóig is on drums, and Debbie Googe provides the signature bass. With Loveless, they found a noise that was truly unique—an exquisite drone that could make ennui feel special. Something about “Sometimes” is significant, but its intensity is diffuse, unfocused, and free. Critics often refer to My Bloody Valentine’s music as “undulating,” which doesn’t really tell us anything new about the nature of sound, but perhaps says something about the radical rawness of the band’s style and its perceived auditory enigma. However, since attainting its superstar status in the ’90s, not much had been heard of the alt rock group from Dublin until it announced the coming of a third album in 2007, which finally surfaced on its Web site on February 2 (like a riff from its beloved sophomore album, the site abruptly crashed). If Loveless was a cozy, musical relationship of 20-plus years, then m b v is the album equivalent of hooking up with an ex. It’s good; it goes through the movements. It’s a lot like the original, but at the same time doesn’t live up to it. As a fan of Loveless, I was thrilled that the first few songs sounded like a continuation of the band’s old work. However, as the tracks roll by, they get increasingly shallow until they sink easily into mediocrity. The first track on the album, “She Found Now,” has a soft, beachy, spacey appeal to it. Scrubbed clean of rhythm, the song relies upon steady bass and a honeyed hum that snakes in and out of the background. The lyrics themselves, as with basically all of My Bloody Valentine’s songs, are just out of reach. The track is followed by “Only Tomorrow,” which is definitely one of the better songs, possibly my favorite. The guitar as it slices quickly through the pummeling bass creates a robustness that crashes through until the end. The same goes for the next track, “Who Sees You,” which benefits from similar power plays. The last real high point on the album is the fifth track, “If I Am,” an idealistic, bubblegum haze of sweet aspirations and runny guitar riffs, reminiscent of Asobi Seksu or the Cocteau Twins. The next track, “New You,” is just as ambivalent and moody as the rest, but is upbeat enough to play in the background of a commercial for an energy-efficient car or a designer line of granola bars. The last three songs on the album, “In Another Way,” “Nothing Is,” and “Wonder 2” are, unfortunately, absolute duds. “In Another Way” has all the cold, metallic synth of a Ladytron track, but none of the cheeky lyrics. “Nothing Is” and “Wonder 2” don’t have any lyrics at all. Maybe I’m just a sucker for the band’s nondescript vocals, which have been so noticeably withheld here and replaced by additional layers of vibrating noise goo and radiator rattlings. The weird thing about My Bloody Valentine is that, with a few brilliant exceptions, its songs tend to feel mellow, even when they are technically loud and pulsating. It may therefore occur to the listener to play these songs softly. Certainly it’s good music to relax to, whether you’re trying to forget that it’s actually you who’s doing your homework or reenacting a symposium with friends. The problem is that, at a low volume, it becomes difficult to hear any of the lyrics (or the fragments of evocative words that are meant to hook you, depending on the track). I’d recommend really listening closely, at least to the first few tracks, to see what words can be pulled out of them, even if all you’re doing is taking an aural equivalent of the Rorschach test. It’s not a perfect method, of course. After playing “Only Tomorrow” at an eardrum-busting noise level, the only word I was able to make out was “heart,” and even this may have had more to do with the season than with the song.